Would you like a solution that is reliable, secure and built for the long term? Consider using ASP.NET. Built by Microsoft, ASP.Net is an open-source web-development framework that can be used to build highly-secure and functional online applications. The latest iteration of ASP focuses on simplifying coding and can be used to produce large web services and applications which are far quicker than those built using other development models. Scalable and powerful, ASP.Net can help create a website that will rocket your business growth to previously-unseen speeds. Planning To Use ASP.NET for Your Next Project?Get in touch with us! New Media Guru offers bespoke solutions for all our clients. Everything we produce will be created especially for you according to your specifications to provide the best end product possible. Our consultation team will provide practical and technical advice to allow you to set the right specifications for your project and reach your stated objectives. New Media Guru builds web solutions for both B2C and B2B companies. Our team involves experts not just in ASP.Net but also design, project management and many other skills – whatever your need our team can fill it. Our projects created using ASP.Net are robust and require little ongoing maintenance resulting in low monthly running costs. To provide the best possible results our team puts an especial emphasis on using a Test Driven Development approach. We test everything extensively to ensure that when you do launch, you’re launch at full-effectiveness. Our team keeps abreast of the latest techniques and training on ASP.Net so you don’t have to. 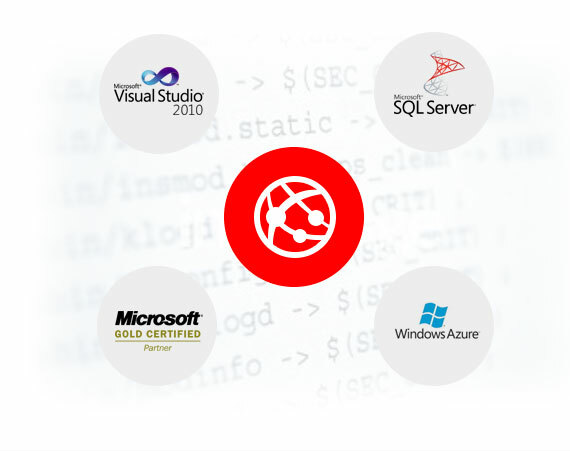 We are members of the Microsoft Developer Network as well as many online developer communities. What sort of solutions can we offer? Take advantage of e-learning solutions with advanced features including calendar management, live streaming, advanced networking options and the ability to run collaborative online classrooms. Integrate your background checks, employee payroll, overtime and tax calculations in one efficient system. Our team can create highly-efficient CMS using ASP.Net. We can provide custom editing tools to allow you to make changes whenever you want to your content and advertising. Marketplace solutions can be built to include escrow functionality, multiple secure payment options and even bidding systems. Do you need a bespoke event booking system? We can create one according to your needs and include custom features such as social media options and integration with your events calendar. We consult with our clients throughout our projects to ensure we are providing the exact solution they require. Our focus is to build great products and services, enabling small businesses to become high-performance businesses, creating long-term relationships by being responsive and continue delivering value.